At Featherstone & Co., we have built a team of professionals to enhance the quality of service we deliver to our clients. We know that clients are looking for a professional who they respect, and someone who they can trust to help them achieve their goals. We use cutting edge technology to dramatically improve the speed, efficiency and innovative capabilities in every part of the transaction. During our first five years as a small team, Featherstone & Co. worked exclusively on bank-owned and foreclosed properties. 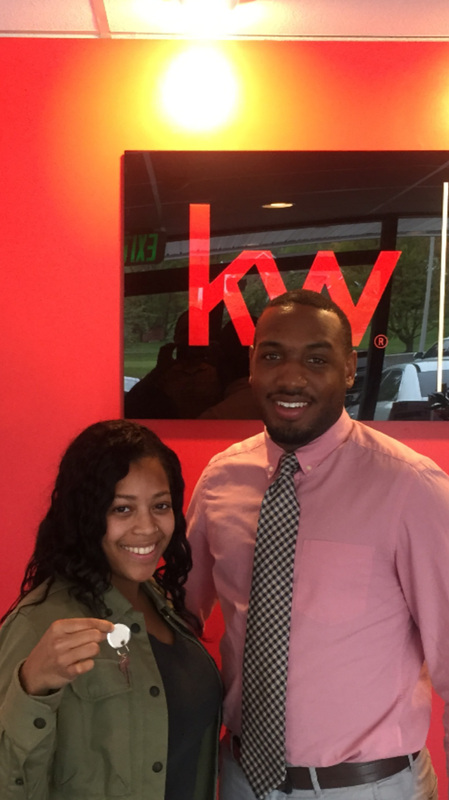 Today we've grown to assist homebuyers and sellers with their real estate needs. Currently, we now have a team of six people who are all based out of our office in Timonium, Maryland. Our annual production is over $15M+ in closed volume and 130+closed transactions. At Featherstone & Co., our team members are really more like a family. It is of the utmost importance for us to foster a winning culture alongside a welcoming environment, and our collaborative style of doing business is one of the many reasons why our team members love working at Featherstone & Co.
Our family-like environment is also one of the reasons why we’re successful, too! Not only do our team members feel supported, but our clients feel truly looked out for and taken care of as well. Does this sound like a team you would like to be a part of? Featherstone & Co is currently looking for new team members to join us in our office in Timonium, MD. We are rapidly growing and have more business than we can handle. Please Email Your Resume and Cover Letter!! Email Us Your Resume and Cover Letter!! An Inside Sales Agent is deeply committed to supporting the sales team in achieving greater levels of success, and to growing his/her own skills and developing into a supportive leader within the team. As the success of the team grows, this individual will be responsible for hiring, training, and leading additional team members to ensure all sales tasks of the lead agent's business continue to be completed to high standards. The Inside Sales Agent will be the first point of contact for potential buyers and sellers. The Inside Sales Representative will reach business targets through excellent telephone sales and communications skills. They will also develop his or her phone-based revenue generation through the creation of sales leads, initiation of prospect calls, and establishment of ongoing rapport with existing and potential customers. Integrity, vision, and passion are essential for this role. Buyer Specialists: We’re always looking for great Buyer Specialists! As a Buyer Specialist, you will oversee all aspects of our buyers’ transactions. We’re looking for someone who is dedicated to putting clients first, doing the right thing, and working towards win-win agreements. Our ideal Buyer Specialist is someone who is deeply committed to the success of the team, and someone who can support our lead agent. Our ideal Buyer Specialist is also a professional who is an excellent leader, and is someone with a strong sense of urgency without sacrificing quality. We look forward to learning more about you, your plans, and your goals!